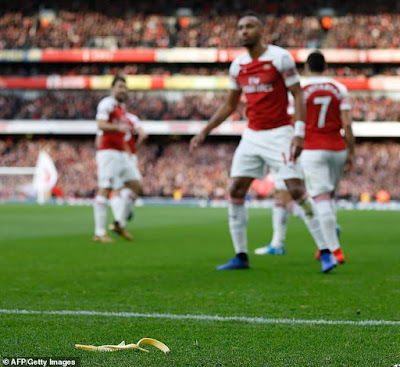 The moment the piece of fruit was seen hurling through the air was captured by photographers at the stadium. 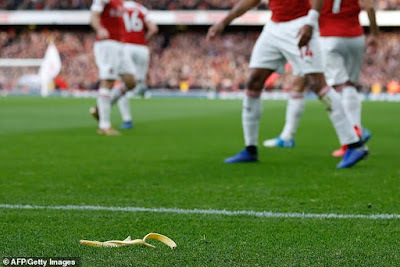 There were also six arrests for public order offences, and two are believed to be Arsenal supporters who lit smoke canisters during the match, according to Mail Online Sport. 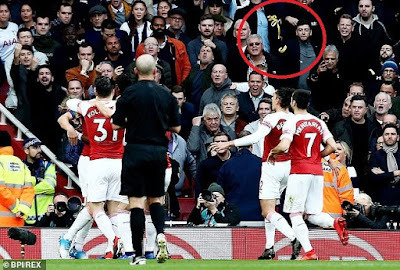 Tottenham are likely to face a disciplinary action for 'fan racism' after the incident. The game ended 4 - 2, with Arsenal snatching all the three points in the fierce game.